LED 120v 1.7 Watt Line Voltage Mini Puck Light. Can be used for Recessed or Surface mount applications. 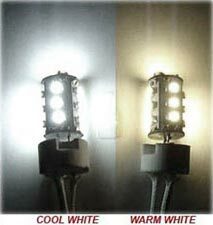 Uses a 120v 1.7 watt LED light source (24 LED's - equivalent to 15-20 watts Halogen!) 5 Year Guarantee,10% energy usage! Comes as shown above in Satin Nickel. No Transformer!